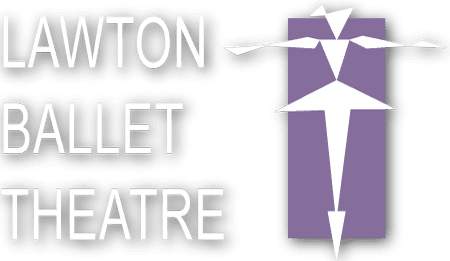 Lawton Ballet Theatre is proud to include the AMERICAN BALLET THEATRE® National Training Curriculum, a breakthrough 8 level program that combines high quality artistic training with the basics of dancer health and child development. The ABT® National Training Curriculum consists of a comprehensive set of age-appropriate, outcome-based guidelines to provide the highest quality ballet training to dance students of all ages and skill levels. ABT’s National Training Curriculum is a program for the development and training of youngstudents that embraces sound ballet principles and incorporates elements of the French, Italian and Russian schools of training. Under the direction of ABT Artistic Director Kevin McKenzie, the Curriculum aims to assist beginning through advanced teachers in training dance students to use their bodies correctly, focusing on kinetics and coordination, as well as anatomy and proper body alignment. The National Training Curriculum strives to provide dance students with a rich knowledge of classical ballet technique and the ability to adapt to all styles and techniques of dance.